It's the holiday season and with that comes Christmas trees, beautiful decorations, twinkling lights and all things sparkly! If you are going to be out photographing festive Christmas lights over the holiday, we wanted to share some tips with you that will help make sure those photos come out beautifully. Shoot at higher ISO settings. EOS cameras set to "Auto" ISO will naturally tend to pick higher ISOs in these types of low-light scenes. Or, you can set ISO somewhere around 1600, 3200, or even higher if the holiday lights you're shooting are not super-bright. If you use higher ISOs – that means less chance of blurs from any motion blur. A tripod is the best way to keep your camera still while taking your photos. If you don't have a tripod, see if you can lean the camera against something like a lamp post, bench, or other solid surface. If there is nothing to brace the camera on, make sure you are holding it as steadily as possible and hold the camera firmly with both hands. Use your optical viewfinder (rather than the LCD) if you have one, so you can rest the camera against your face. Wider focal lengths, such as 16mm, 18mm, 24mm, etc. are much more 'forgiving,' showing little-to-no blur from camera movement, even at slower shutter speeds. Consider stepping closer to those lights, and zooming the lens to a wider focal length, to minimize blurs and camera shake. Christmas is here and it is such a magical time of year! It is a time when family and friends gather together, twinkling lights shine and all is merry and bright. To celebrate Christmas this weekend, we wanted to share a few beautiful photos of Christmas lights to help get you in the merry spirit! We hope all of you have a wonderful holiday and amazing year ahead! 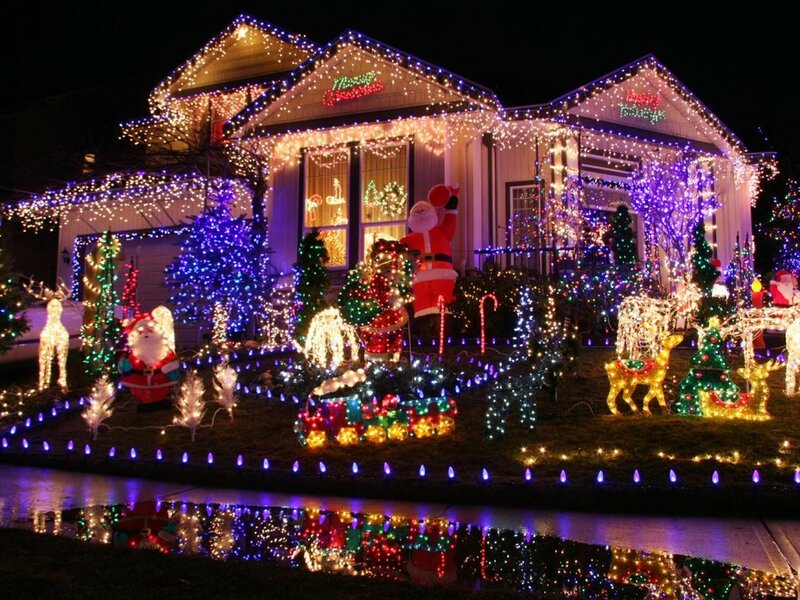 Do you have any awesome photos of Christmas lights you would like to share with us? Be sure to do so below or feel free to share with us on Facebook! Do you take holiday photos for your clients every year? Perhaps, you just love taking your own holiday photos that you turn into your family Christmas card. These Holiday Text Overlays are perfect for you! For $9.99 (normally $49.00) you could be making amazing holiday cards right away! CLICK HERE TO PURCHASE THESE HOLIDAY TEXT OVERLAYS NOW! The holidays are such a beautiful time of year! We just love the gorgeous decorations and the twinkling white and colored lights and everything else that makes Christmas so magical. Capturing beautiful photos of all the lights can be a challenge so today we wanted to share with you a few tips for taking awesome photos of Christmas lights. Whether you are in your town photographing beautiful holiday scenes around the city or simply capturing photos of your very own Christmas tree or house, we hope these tips help you capture beautiful ones! We hope each of you have a very happy holiday and be sure to share with us all your wonderful photos you take of beautiful Christmas lights. If you are photographing Christmas lights outside, be sure you do not wait until it is too dark. You want to make sure you find that perfect balance where the ambient light and and the Christmas lights balance themselves nicely. If you take your photos when it is completely dark outside, you will still be able to see the lights but the rest of the scene will be too dark to see clearly. If you are photographing lights indoors, try to dim the lights a bit so that the holiday lights stand out a bit more. Since it will be pretty dark when you are taking the photos, a slower shutter speed at around 1/4 second to 2 seconds or more will be needed. Because your shutter speed will be at a slower setting, your photos will more easily become blurred. It is important to use a tripod, or you must have a very still hand, to make sure that your photos come out clear. It is most preferable to use lower ISO settings that are around ISO 100 or 200 for better picture quality. You will find that most cameras will begin to show digital "noise" and a decrease in color brightness if the ISO setting gets around 400 or above. Be sure to turn off your flash when you are taking photos of outdoor lights. If you are very close to the lights that you are photographing, it will most likely wash them out. Still in need of a great gift for the holiday season whether it is for yourself or someone special in your life? 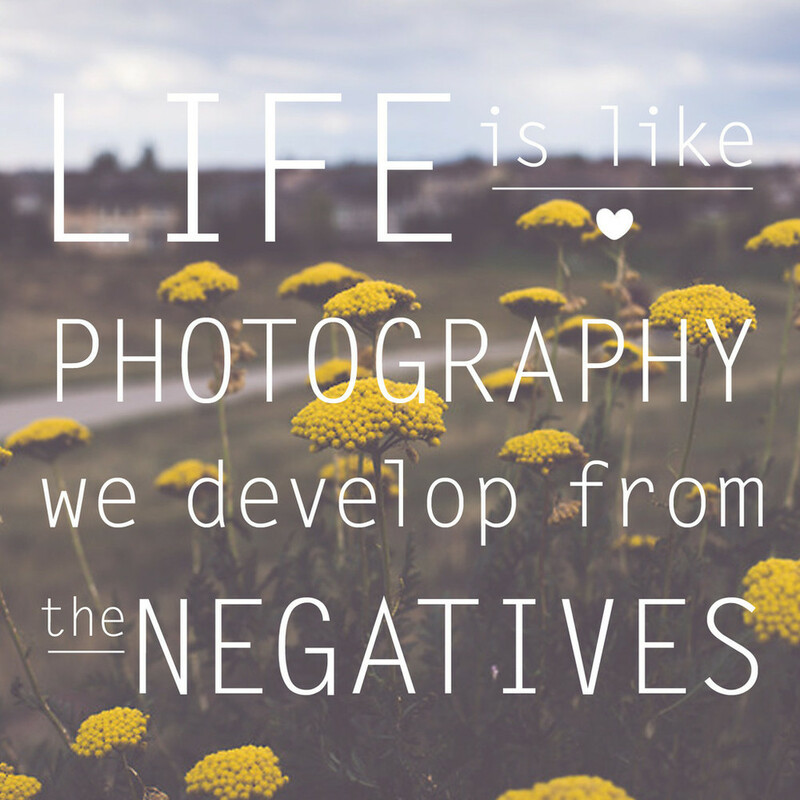 How about this "Life is like photography" wood print? It is perfect to use as decor in your office, studio or even for someone who loves quotes! Cost is $35.95 for the 8x8 size. Other sizes are available. CLICK HERE TO PURCHASE THIS WOOD PRINT NOW!